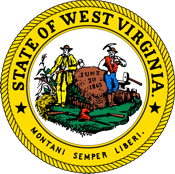 Knife Rights - Knife Rights' West Virginia Preemption Bill Advances - CALL/EMAIL TODAY! Knife Rights' West Virginia Preemption Bill Advances - CALL/EMAIL TODAY! February 17, 2017: Knife Rights' West Virginia Knife Law Preemption bill, HB 2209, sponsored by Delegate Rupert Phillips, has passed the House Political Subdivisions committee on a voice vote. HB 2209 now moves to the House Judiciary Committee for another hearing. If you live, work or travel in West Virginia, please CALL or EMAIL the Chairman of the Judiciary Committee, Delegate John Scott at: (304) 340-3252 or john.shott@wvhouse.gov and politely request that he "Please schedule HB 2209 for a hearing as soon as possible." Then please EMAIL all the members of the committee and politely ask them to: "Please vote YES on HB 2209 when it is heard in the Judiciary Committee." If you don't live in West Virginia, briefly explain why you work or travel there. HB 2209 adds "Knives" to West Virginia's existing firearms preemption statute which was passed in 2015 due to the the work of our friends at the West Virginia Citizen's Defense League and the National Rifle Association. Knife Rights is rewriting knife law in America, passing the nation's first Knife Law Preemption bill in Arizona in 2010. Since then Knife Rights has passed preemption bills in Alaska, Georgia, Kansas, New Hampshire, Oklahoma, Tennessee, Texas, Utah and Wisconsin. February 17, 2017: Knife Rights' West Virginia Knife Law Preemption bill, HB 2209, has been introduced by Representative Rupert Phillips. HB 2209 adds "Knives" to West Virginia's existing firearms preemption statute which was passed in 2015 due to the the work of our friends at the West Virginia Citizen's Defense League and the National Rifle Association. Knife Rights passed the nation's first Knife Law Preemption bill in Arizona in 2010 and has since passed preemption bills in Alaska, Georgia, Kansas, New Hampshire, Oklahoma, Tennessee, Texas, Utah and Wisconsin.